This trip was amazing and life changing beyond words. I am so thankful for my Blackhawk and FH friends. God is great. I was very impressed with the work of FH. They have a holistic approach to ministry with a focus on the poor, oppressed, and least of these: children. They address spiritual and emotional poverty along with physical poverty. They develop communities, not dependency. They love the people they serve. The actual tasks we did were minor, but I was pleased to understand how much our presence was an encouragement to the FH staff and the Lajastambo community. They are not alone. They are not unknown. They matter to God. They matter to us. 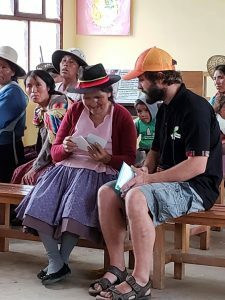 Please join us in praying for FH Bolivia and the community of Lajastambo.